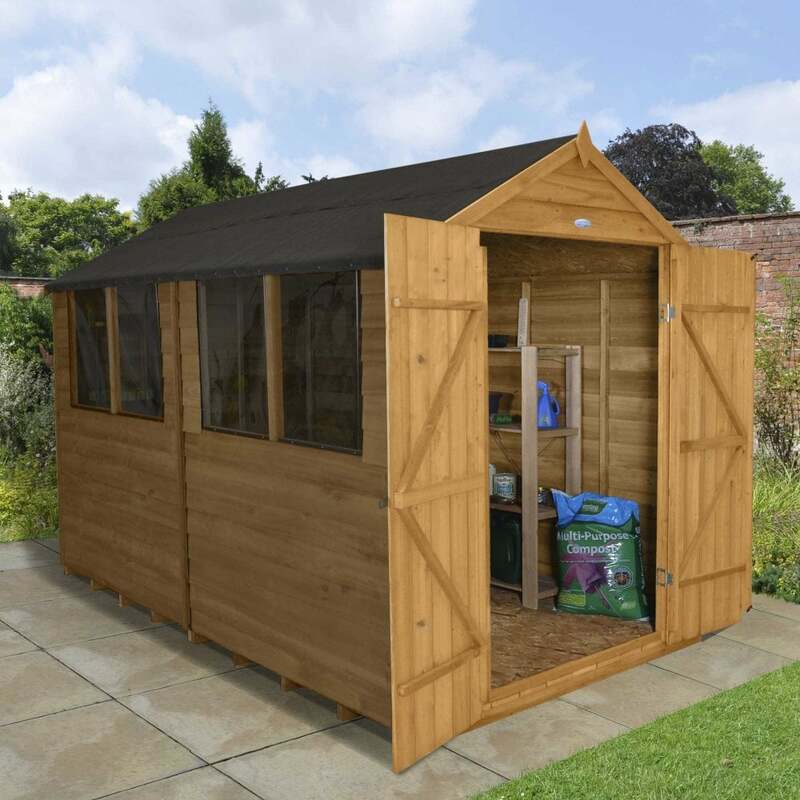 Forest Garden 8 x 10 Overlap Dip Treated Apex Shed: This Forest Garden 8 x 10 overlap dip treated apex shed has a traditional apex style roof so will be classically styled in the garden no matter where you place it. The rough sawn overlap design will allow flexibility for the natural movement of the wood and is square cut to keep the rain out, this shed also includes roofing felt to further protect the shed and its contents from the elements. Being dip treated in the factory this shed will require the application of timber preservative periodically to protect it from rot and to validate the 10 year guarantee. This shed has a double door with hasp and staple lock and hidden hinges for added security and features 4 windows that can go either to the left of the building or to the right depending on personal preference during construction. This timber on this shed has been sustainable sourced from FSC approved mixed softwood for peace of mind and is delivered in easy to manage sections for simple self-assembly.